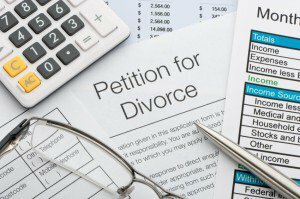 Divorce | Law Offices of David M. Brandwein, P. A. Most couples who seek marriage annulment have children. This makes the divorce a real challenge because there are family laws that come into play specifically touching on child custody. In fact, reaching a mutual agreement on child custody is one of the most difficult decisions in a divorce settlement. However, a qualified and experienced lawyer would be able to help you navigate through the murky child custody issues as well as paternity issues if they arise. Ideally, you should hire a lawyer who can help you minimize the impact of the divorce on your children even if the case revolves around their custody. A lawyer can achieve this by taking complete control of all the legal issues and, therefore, allow you time to focus on your children instead of fighting with your partner over child custody and other legal issues. Besides child custody, you also need legal advice and representation during property division. Whether you coown large marital assets or share just a few household items, a lawyer will be of service. Among the most common items/properties that couples have to divide include vehicles, jewelry, insurance policies, investment accounts, real estate, furniture, and electronic appliances. It may not be easy to part with possessions that hold personal as well as sentimental value. By hiring a lawyer, you and your partner would be more likely to get an equitable distribution of shared assets. After the dissolution of a marriage, the parties involved must agree on child support. Some of the factors that determine child support payments include earning potential, medical expenses, ages of the children, number of children, as well as education expenses. In addition, your spouse may require rehabilitative alimony to redevelop or acquire new skills through training or education. Durational alimony is another form of child support that is not permanent. Instead, you provide the support whenever your spouse requires financial assistance for a certain period. With the help of an experienced attorney, you can reach an amicable agreement on alimony issues. Divorce can be messy and bitter. Despite the marriage being over, you should be able to spend some quality time with your children. In fact, it is necessary to maintain physical and emotional contact with kids you may have raised together. Visitation rights will ease the emotional impact of divorce on you as well as your children. 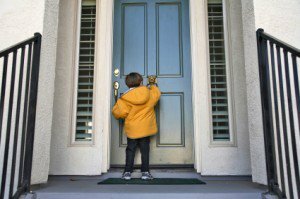 Although visitation sounds easy, it can be a tricky matter to implement properly. For instance, divorced couples need to plan summer holidays with visitation in mind. With the help of a lawyer, you would be able to get good advice on issues such as court-ordered time-sharing and the interpretation of case precedents. After agreeing to a divorce, some couples request for post-judgment modifications. This is normally due to certain changes in their lives including remarrying, relocation to a new state, and loss of a job. These changes can affect the ability of one spouse to pay child support, carry out parental responsibility such as child visits, and paying alimony. If your personal circumstances change suddenly, your lawyer should be able to help you with the mediation of a modified divorce agreement. Today, many young couples tend to prepare prenuptial agreements before tying the knot. This plays a big role during divorce proceedings if couples with such an agreement decide to split. In such a case, you need a lawyer who has handled such cases in the past. If your marriage has become untenable, consult a Broward divorce lawyer for legal advice. In addition, your lawyer will represent you during child custody and support proceedings. Divorce also involves the sharing of marital assets. By hiring a lawyer, you will be able to reach an amicable agreement on the equitable distribution of joint assets. Other benefits of hiring a divorce lawyer include help with post-judgment modifications, paternity, and prenuptial agreements.